Click on the tabs below to navigate! 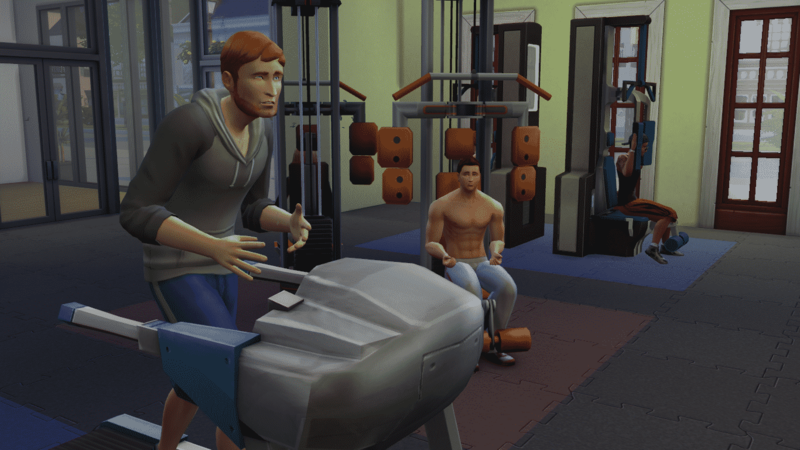 Your Sim wants to work out and become as strong as they can be! It is easier to stay fit and trim when you have High Metabolism. 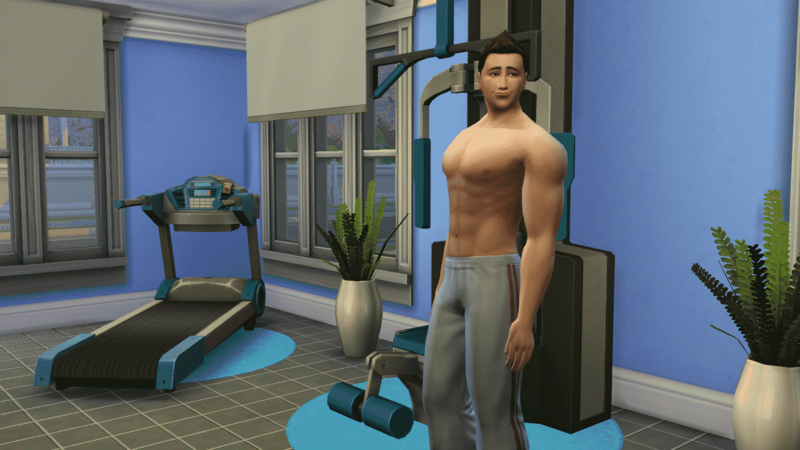 Workout Equipment can be purchased from Build Mode under the Study Room Sort. Use Workout Equipment or Go Jogging to work out. 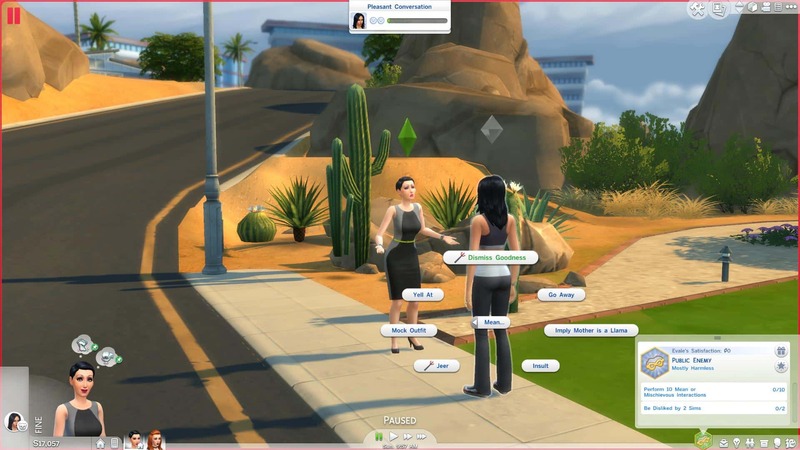 Click on a selected Sim to use the Go Jogging interaction. Push the Limits by Working Out twice in a row without stopping or leaving the Energized emotion. To become Energized, Work Out, Drink Coffee, or Take a Brisk Shower. 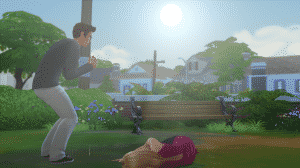 Travel to a different lot using the World Map, then use a piece of Workout Equipment or the Go Jogging interaction. 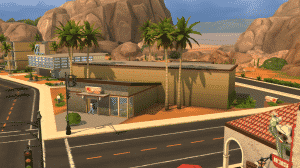 Tip: to quickly finish this step, visit a Gym in Oasis Springs and in Willow Creek and Work Out for about 10 seconds. Then, go Home and Work Out there as well. 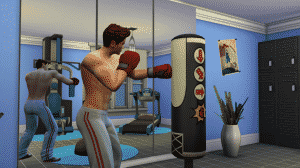 To increase Fitness Skill, work out by using the Treadmill, Workout Machine, or Punching Bag. 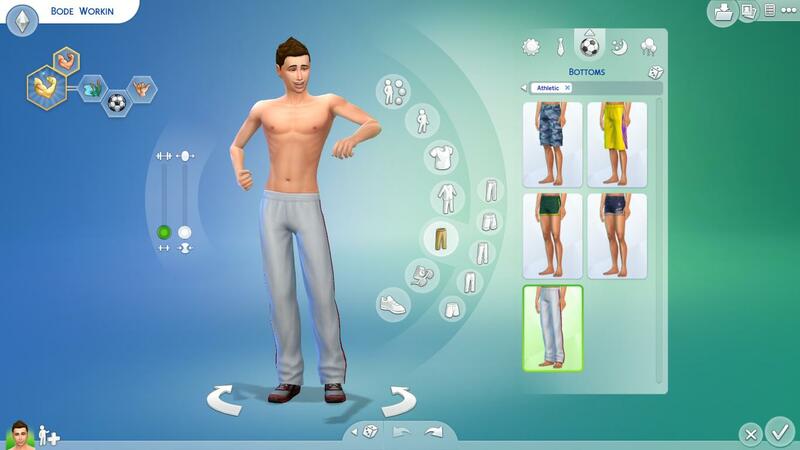 Alternatively, Sims can also Go Jogging! 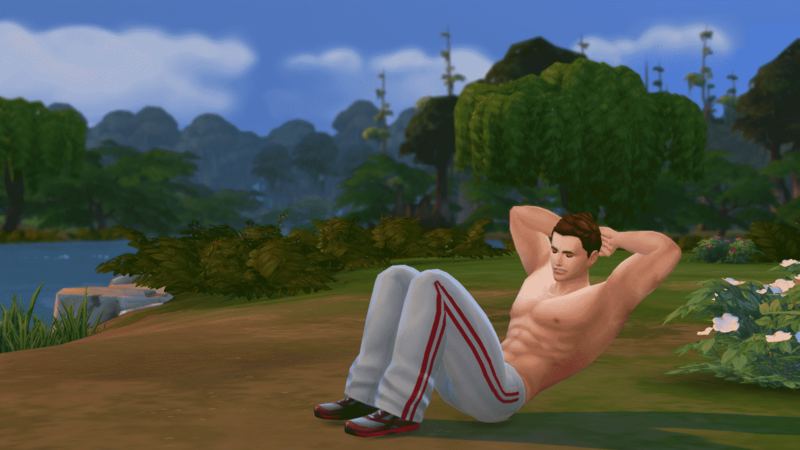 Tip: Sims gain Fitness Skill more quickly if they’re Energized! 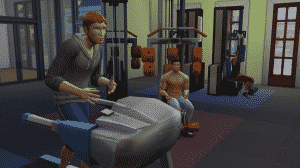 Click on a Sim and select the Show Off Muscles social interaction from the Friendly Category. Show Off Muscles can be unlocked by increasing your Fitness Skill to level 6. Use Workout Equipment or Go Jogging for a total of 50 hours. Continue to work out on a consistent basis to attain maximum muscle mass! Tip: Sims finish this step by maxing out the Muscle Slider in CAS. 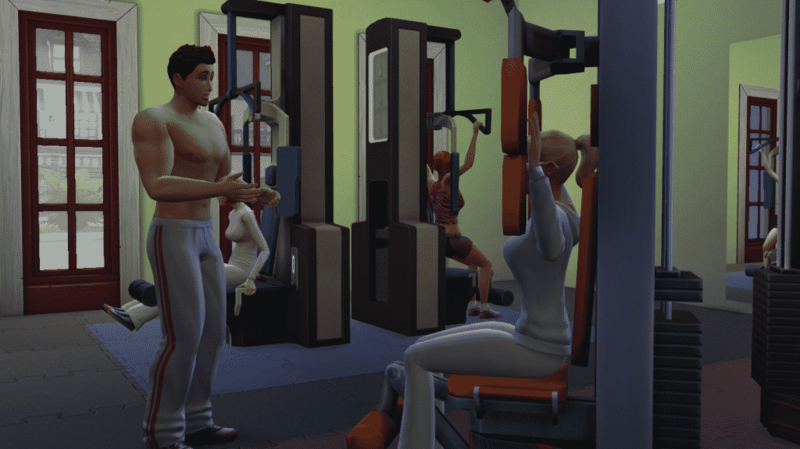 Once your Sim Workouts for a certain amount of time period, they’ll max out the Muscle Slider. Travel to a Gym using the Phone or the World Map, then click on a Sim that is working out and select the Mentor social interaction. Mentoring can be unlocked by increasing the Fitness Skill to level 10. 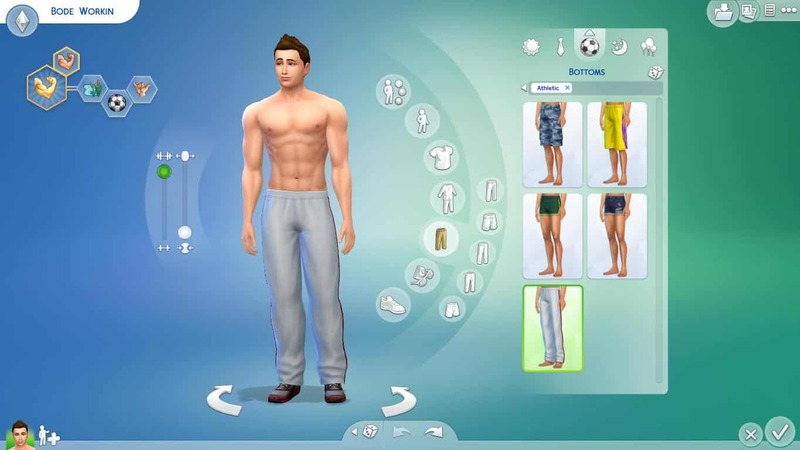 For completing the Bodybuilder Aspiration, your Sim will receive the Long Lived Trait. 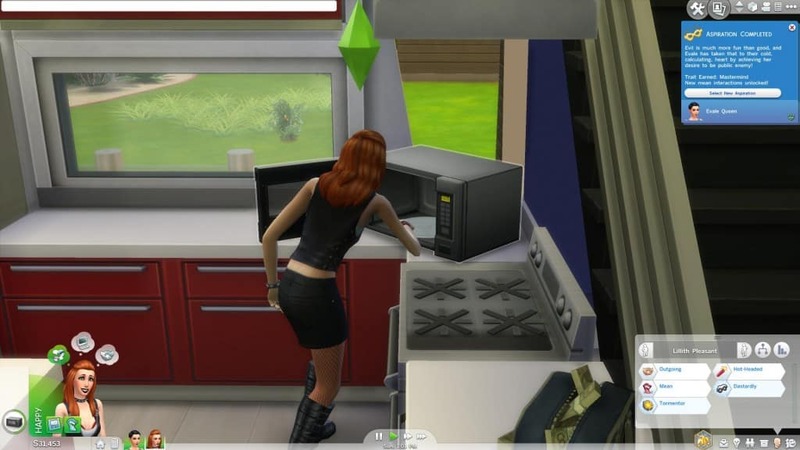 This trait lets your Sim live longer life, barring any accidents. This Sim wants his/her life to be all about art and painting! Musers get better boosts to their skills when they’re inspired. 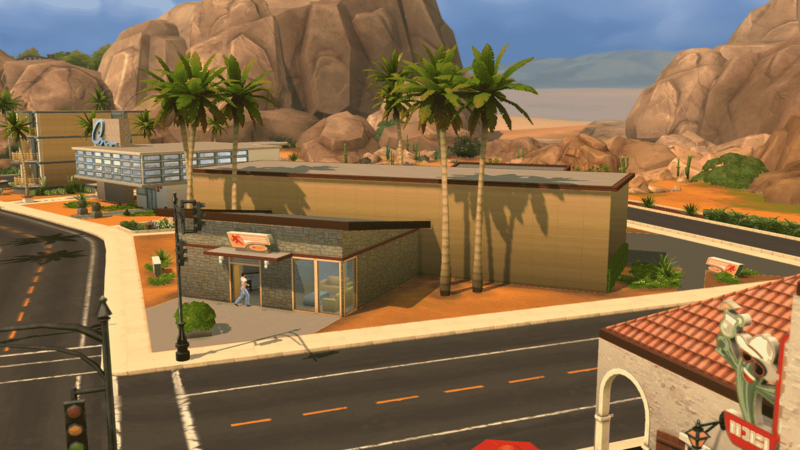 Pro Tip: Join the Painter Career for more benefits and easier shortcuts of this Aspiration. Click on the Easel, then choose a Painting Style and Size. To become Inspired, Take a Thoughtful Shower, Read a Book, or do Creative work. Click on the Easel, then choose a Painting Style and Size. Easels can be purchased from Build Mode under the Study Room Sort. 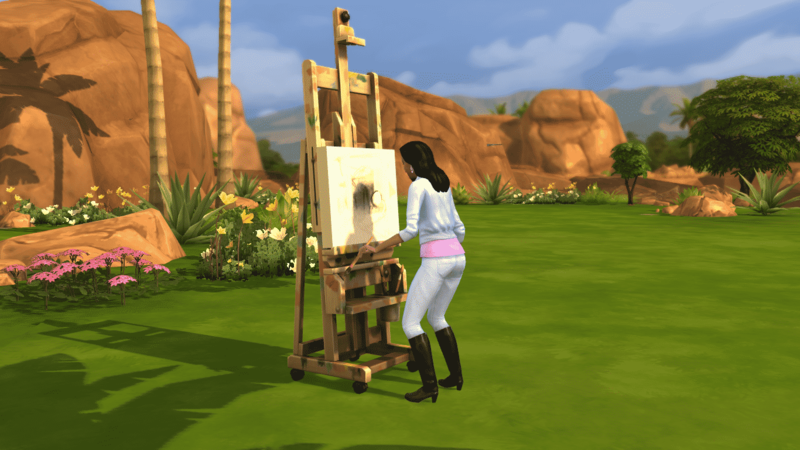 To increase Painting skill, create paintings on an Easel or read a Painting Skill Book. Skill Books can be purchased directly from a Bookshelf by using the Purchase Books interaction! Tip: Making your Sim Inspired speeds up leveling your Sim’s Painting Skill. Click on a completed Painting to have your Sim sell it. 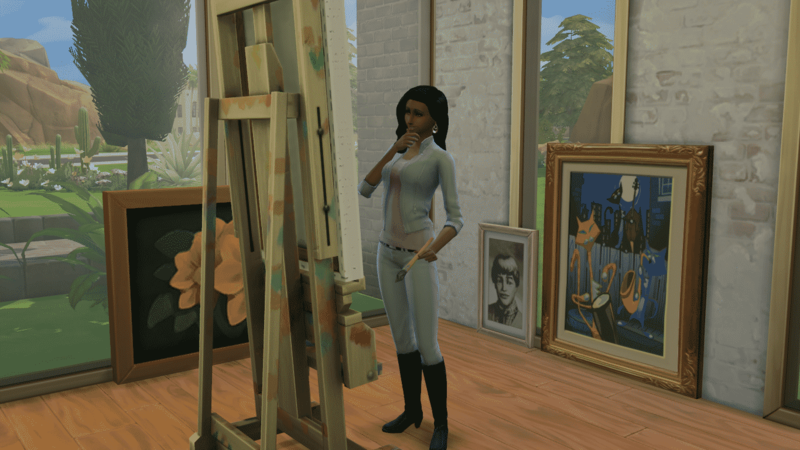 Note: Option to sell your Paintings to the Art Gallery only shows up after you create a Masterpiece quality painting. Sims can create special paintings while in certain emotions. Click on the Easel and select and Emotional Painting to begin. Purchase or paint 25 paintings. 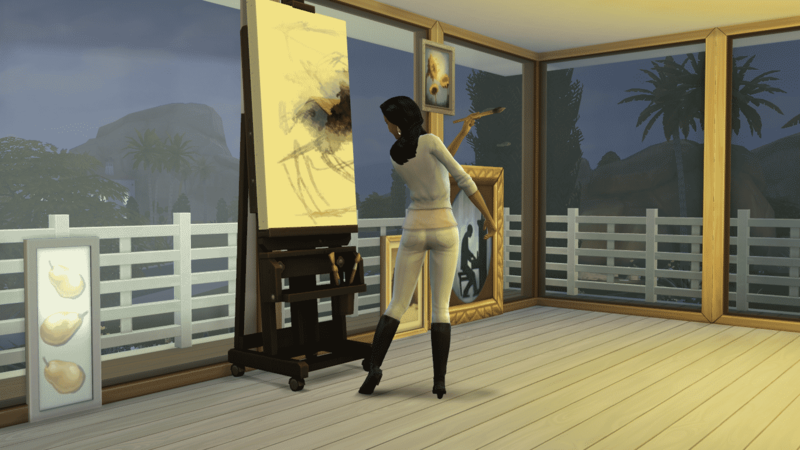 Paintings can be purchased from Build Mode under almost any room sort. They can be found under the Paintings & Posters category. 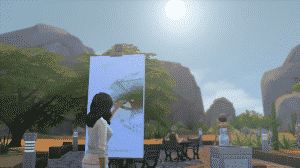 Simply click on a painting to use the View interaction. Tip: this task can easily be done by visiting a Museum. Click on the Easel, then choose a Painting Style and Size. Hover the cursor over a painting to check its quality. Click on the Easel, then choose a Painting Style and Size. Afterwards, click on the painting to sell it. 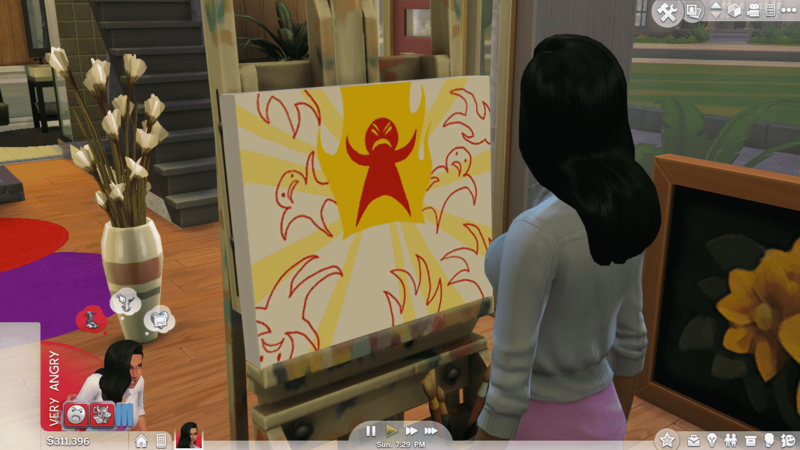 For completing the Painter Extraordinaire Aspiration, your Sim will receive the Expressionistic Trait. 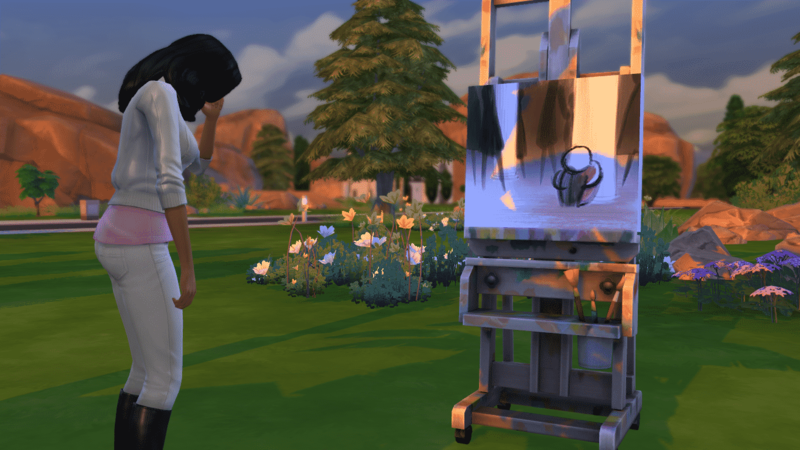 Expressionistic Sims have captured the essence of feeling, and can create highly emotional works of art regardless of their actual mood! 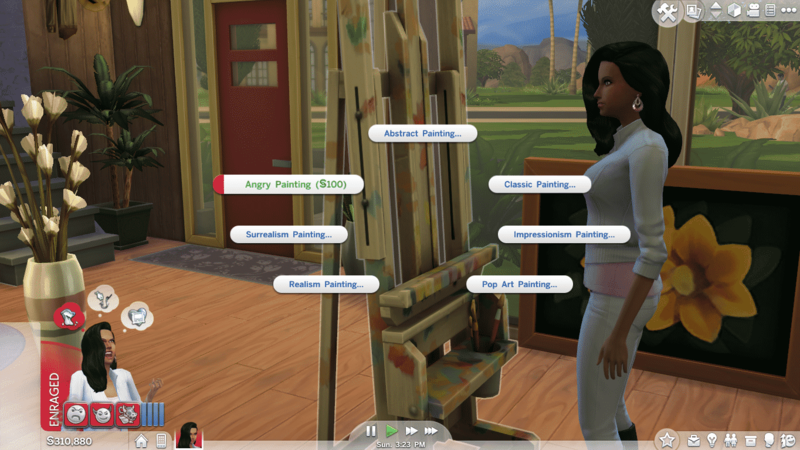 This Trait lets your Sim paint all 5 Emotional Paintings: Angry, Confident, Sad, Playful, Flirty. 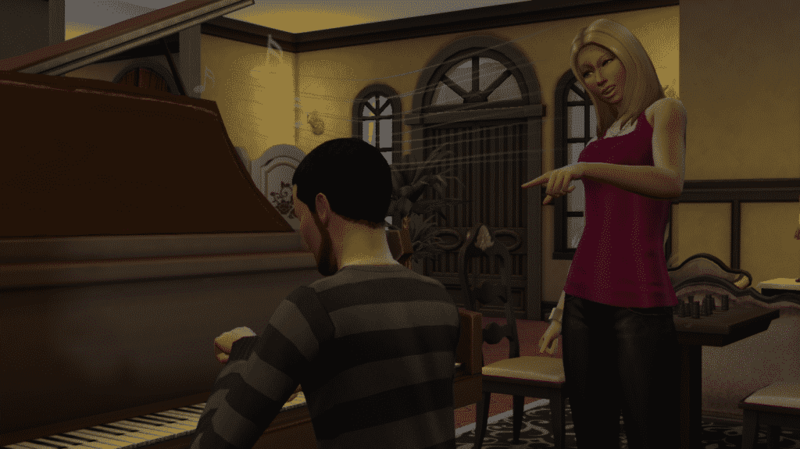 Your Sim wants to be an expert musician and songwriter! 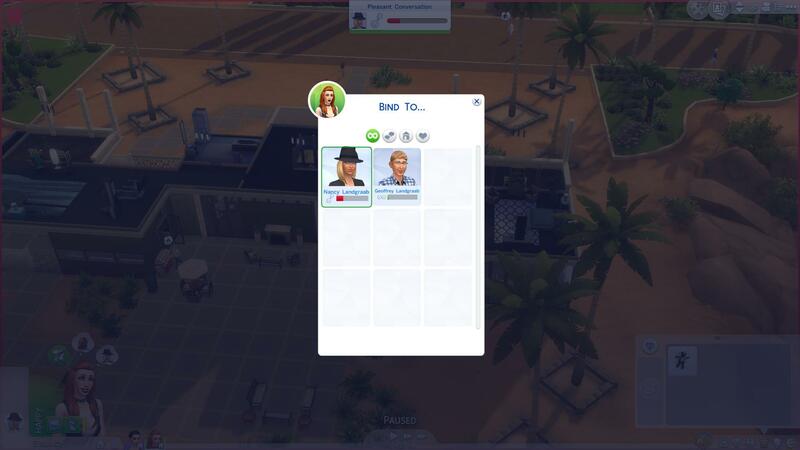 Pro Tip: If you don’t want to spend a lot of Simoleons and time to max out the instrument skill in order to complete this Aspiration, you’ll only need one instrument (Guitar is preferred). Click on an Instrument and select Practice. Instruments can be purchased from Build Mode under the Study Room Sort. Click on a Stereo and select which genre to Listen To. Stereos can be purchased from Build Mode under the Living Room Sort. Tip: Multitasking really comes in handy with this task. Click on a Stereo, select ”Listen to..” and you can do lots of other things while listening to Music. 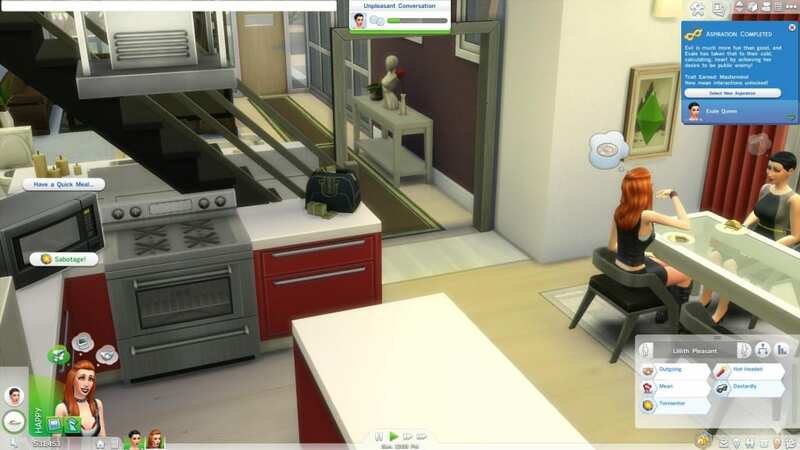 To increase a Sim’s Musical Instrument skill, click on an instrument and select one of the interactions or read a Musical Instrument Skill Book. Skill Books can be purchased directly from a Bookshelf by using the Purchase Books interaction! 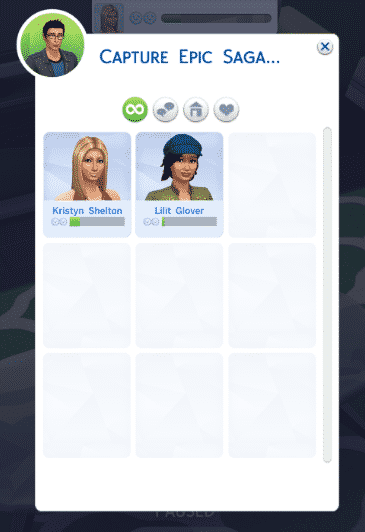 Tip: Inspired Sims level up Instrument Skills faster! Travel to a Venue by pulling up the World Map and selecting a destination. Once there, click on a Musical Instrument to play! 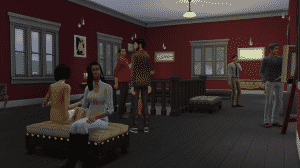 Other Sims may tip if they like the tunes. Click on a Musical Instrument and select Serenade. 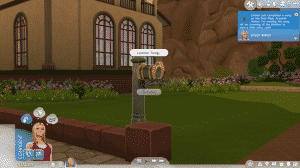 Sims must have a Romantic interest nearby and at least level 6 in that Musical instrument skill. Click on a Musical Instrument and select Write Song. Sims with high Skill are more likely to create higher quality Songs. Click on the Mailbox and select License Song. 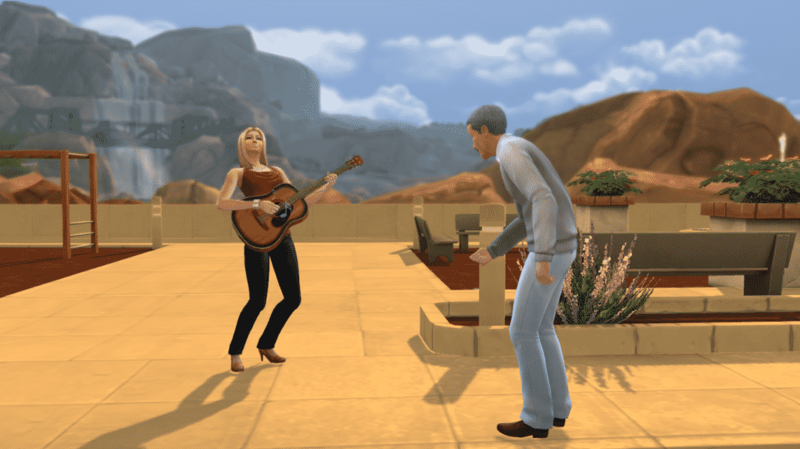 Sims can unlock this interaction by increasing their Musical Instrument skill an writing a song. Play a Guitar, Piano, or Violin for a total of 100 hours. These Musical Instruments can be purchased from Build Mode under the Study Room Sort. 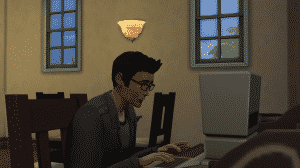 Click on a Sim playing a Musical Instrument and select Mentor. This interaction can be unlocked by maxing out a Musical Instrument skill. Tip: If you’d like to Mentor a Sim and raise their skill more quickly, buy a Lifetime Reward for 1000 Satisfaction Points called ”Mentor”. For completing the Musical Genius Aspiration, your Sim will receive the Piper Trait. Pipers know an arsenal of songs that have significant power over others. 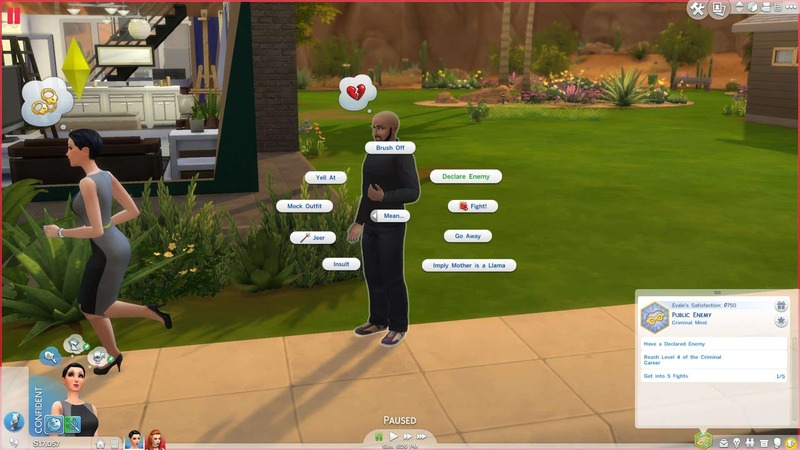 This Trait unlocks 4 special Songs for each instrument that, after playing, make Sims around you do certain action. For playing the Carol of Cleaning, Sims around you will start to clean; Ditty of Drowsiness will make Sims sleep, Etude of Egress will make Sims leave and the Song of Sophistication will make Sims around you wear Formal clothes. 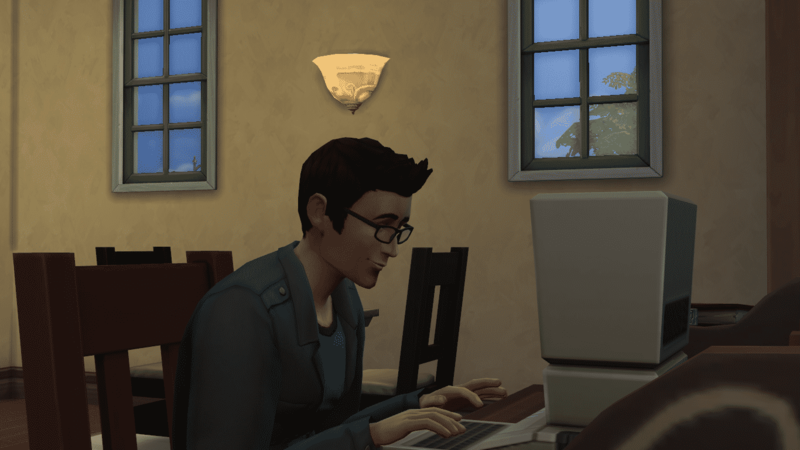 Your Sim wants to write books and become a famous author! Pro Tip: Join the Writing Career for more benefits and easier shortcuts of this Aspiration. Click on a Computer and select a genre of book to write under the Write category. 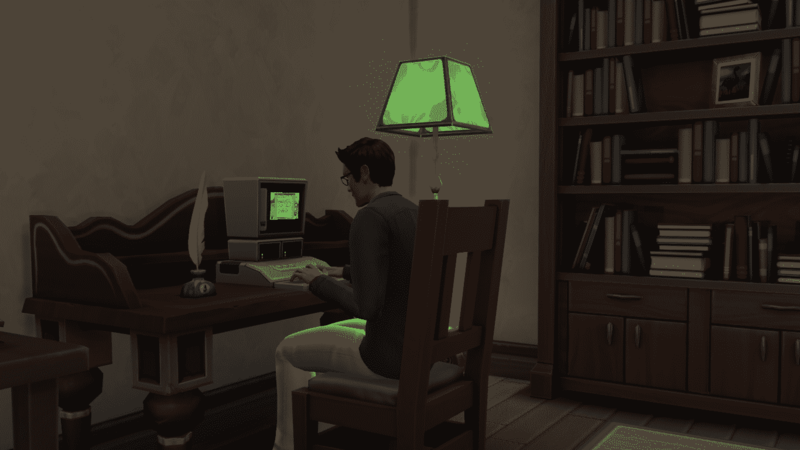 Sims can unlock more genres by inreasing their Writing Skill. 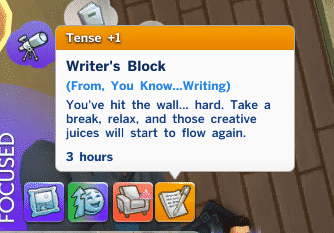 Sims will sometimes run into Writer’s Block when writing for too long. 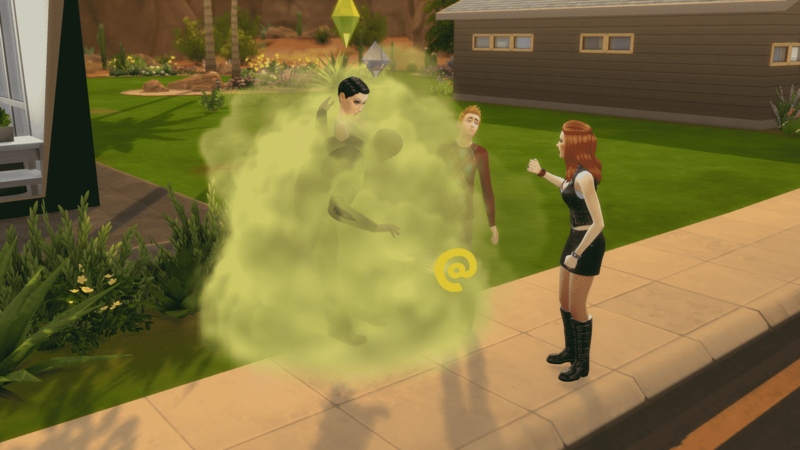 When this happens, try to have your Sim relax by taking a bath or doing something fun. 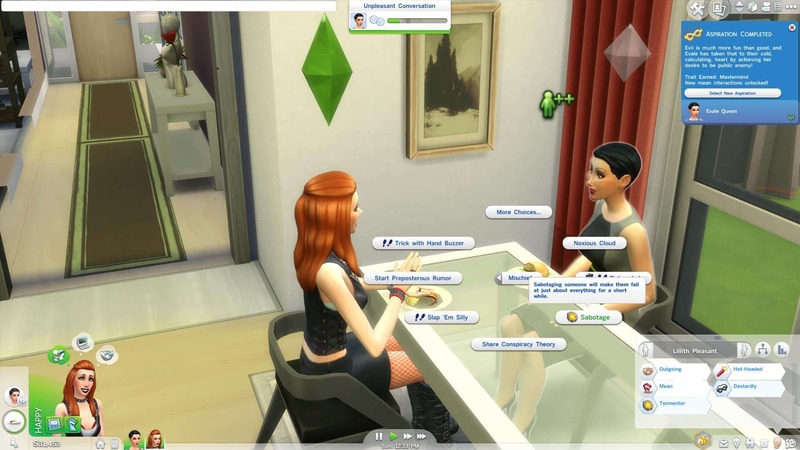 Tip: Socializing with other Sims is one of the best ways to cure your Sim’s boredom! Click on a Computer and select a genre of book to write under the Write category. Computers can be purchased from Build/Buy under the Study Room Sort. Click on a Computer and select a genre of book to write under the Write category. To become inspired, take a Thoughtful Shower, Read a Book, or do Creative work. 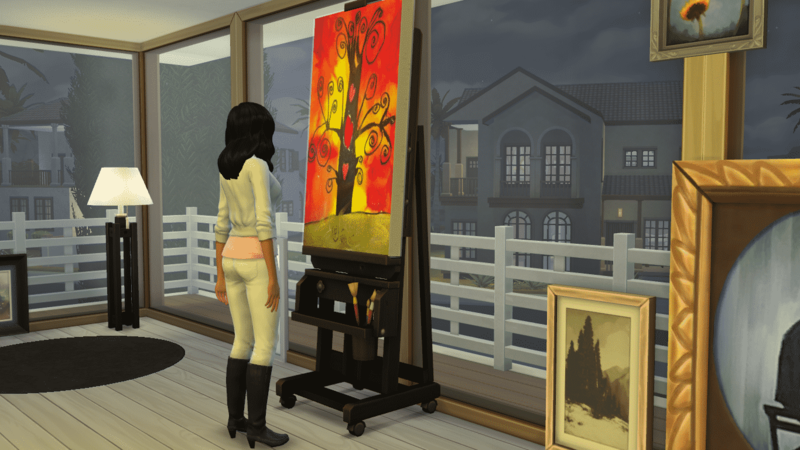 Tip: Purchase/Add Inspiring Decor in the room where your Sim writes for better results. Click on a Computer and select a genre of book to write under the Write category. Hover the cursor over a book to check its quality. 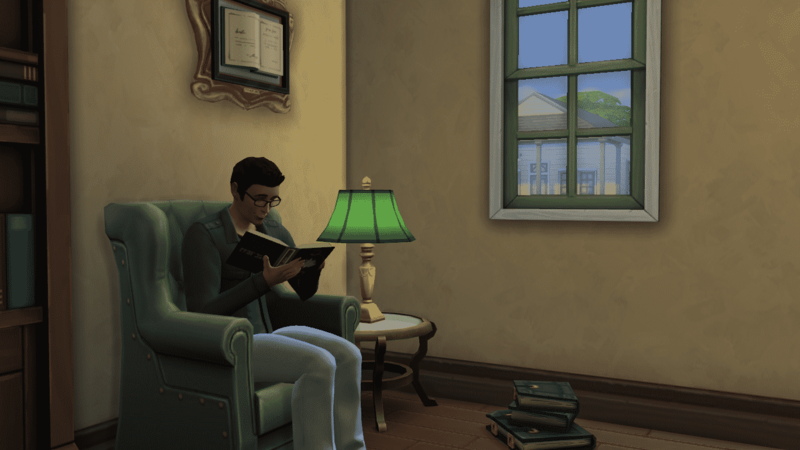 Tip: Inspired Sims write better quality books! Also make sure your Sim is skilled at Writing; if not, click on the Computer and select Writing > Practice Writing. To increase Writing skill, write books on a Computer or read a Writing Skill Book. Skill Books can be purchased directly from a Bookshelf by using the Purchase Books interaction! Click on a Computer and select a genre of book to write under the Write category. 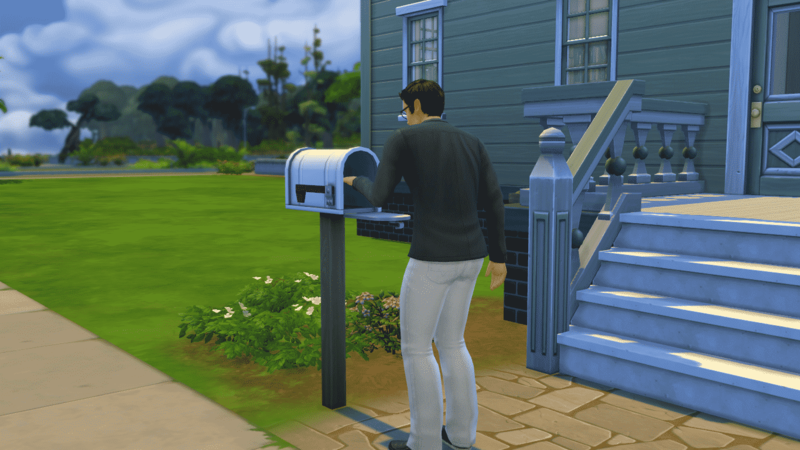 Once the book is complete, click on the Mailbox to Publish it! Click on a Computer and select a genre of book to write under the Write category. Once the book is complete, click on the Mailbox to Publish it. 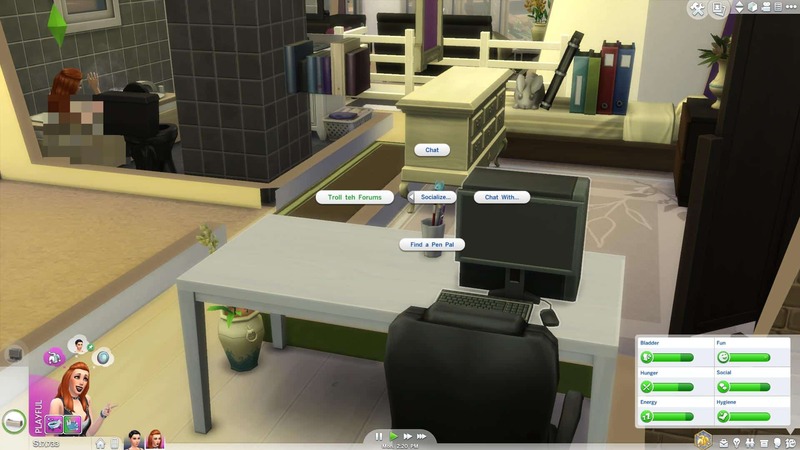 Sims with high Writing skill are more likely to create a Bestseller! 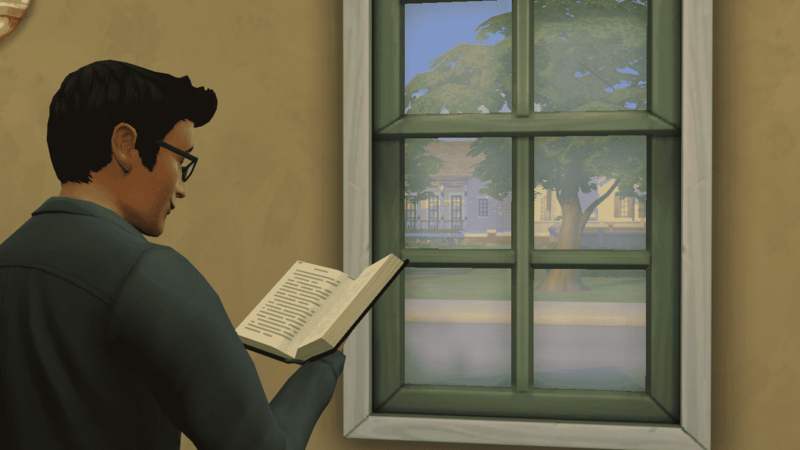 For completing the Bestselling Author Aspiration, your Sim will receive the Poetic Trait. Poetic Sims can capture life itself in a book, and wield it to bring back someone they’ve lost. To revive someone from the dead, your Writer Sim has to write a book (The Book of Life) and then Capture Epic Saga about a Sim your Sim knows about (while he/she is still alive). 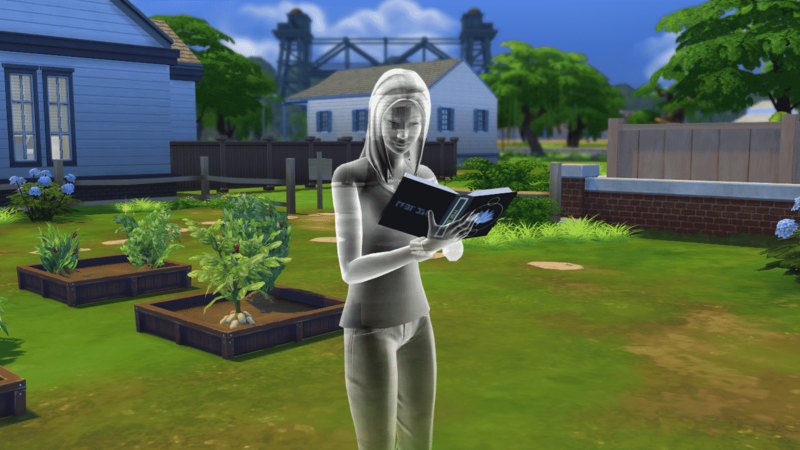 After the Sim dies, you can summon a ghost of that Sim by clicking on The Book of Life and selecting ”Summon”. You’ll need to have 95% Friendship level with that Ghost in order to add him/her in your Household. As a Ghost, select The Book of Life and select the ”Restore Life” interaction. 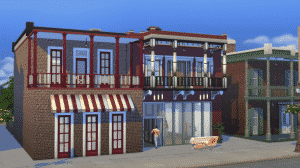 These Sims want to cause Mischief and Misery for other Sims in town. Sims perform stronger and more successful mean interactions. 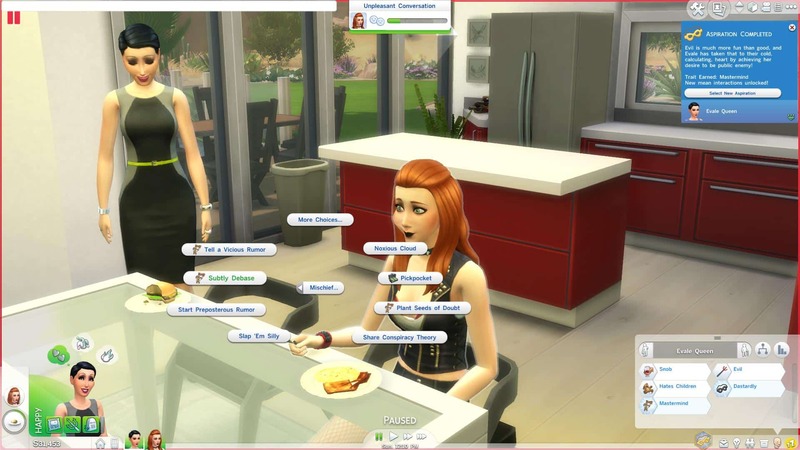 Click on a Sim and select a Social from the Mean or Mischief category. 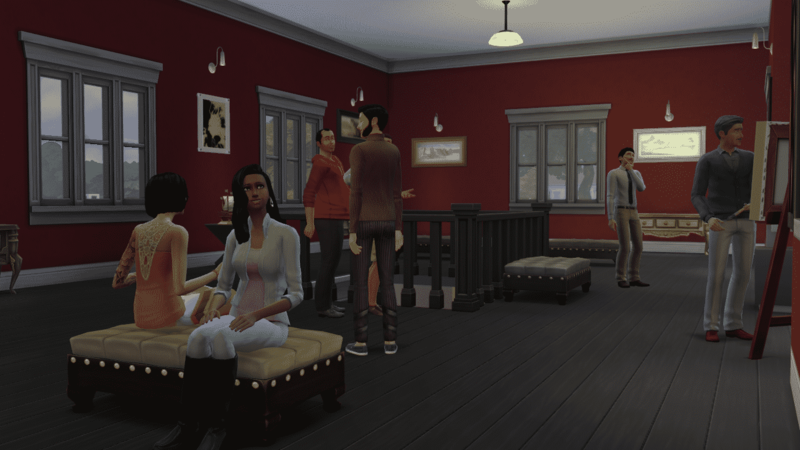 Continue to perform socials from the Mean category to incur the wrath of other Sims. You know, age them up with a Birthday Cake. To become a Criminal, click on the Phone or Computer and select the Find a Job interaction. Click here to go to our Criminal Career Guide. To get promoted, complete Promotion Requirements and attend work in the career’s Ideal Mood. 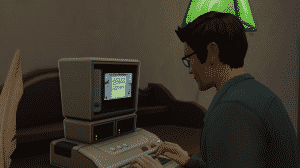 Tip: Daily Tasks for Criminal Career can be completed on the Computer in early levels by “Troll teh Forums”. 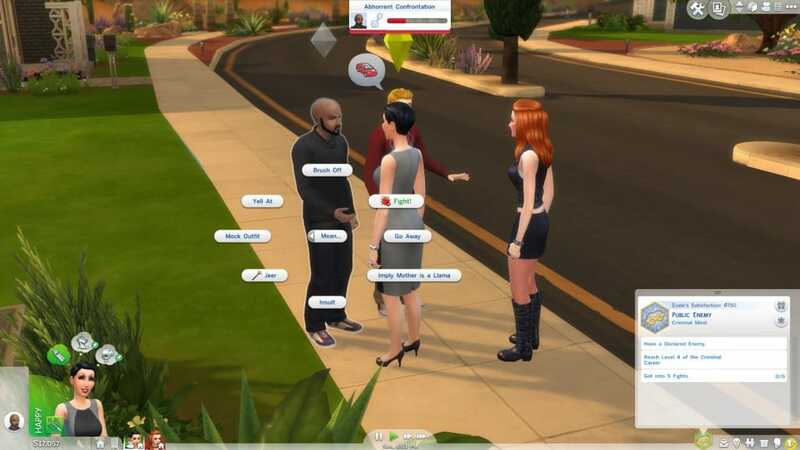 Click on a Sim and select FIGHT! Continuously performing Mean Socials will decrease relationship and provoke Anger. 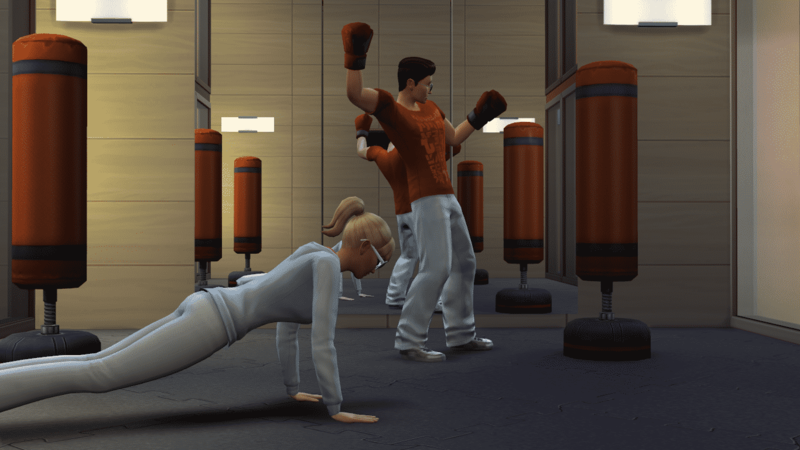 Tip: Having a higher Athletic Skill will increase your chances of winning fights. 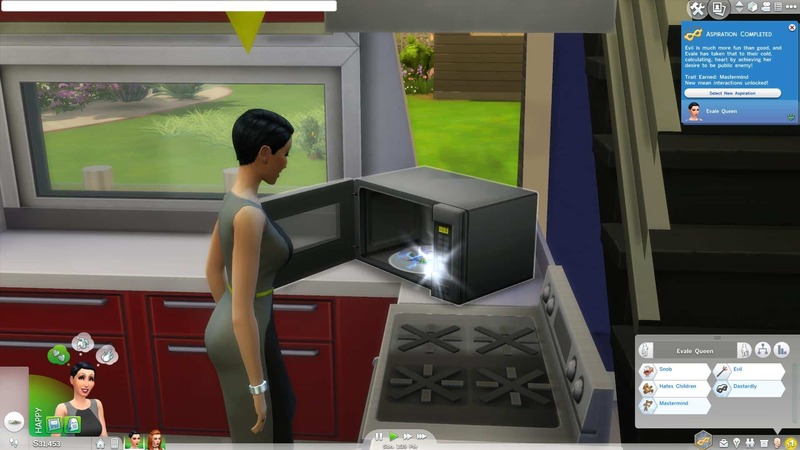 Sims can die from fire, drowning, starvation, extreme emotion and more! Mastermind Trait: Masterminds know just the right things to say to cause anger, sadness and jealousy in their opponents. 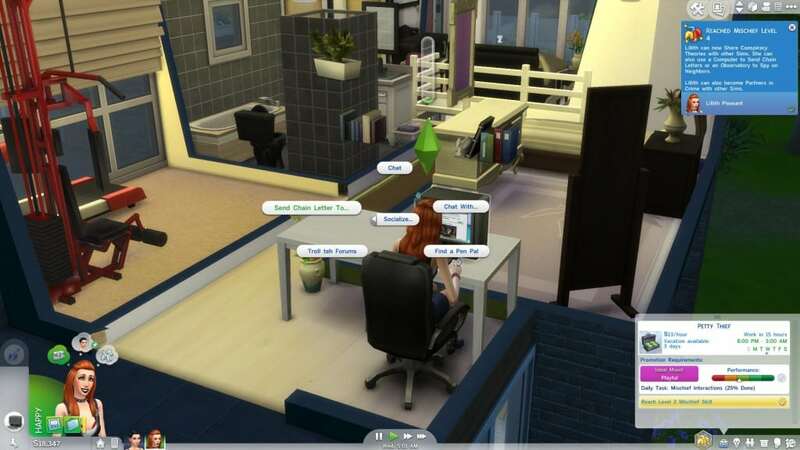 To increase this skill, click on a Sim and select a Social from the Mischief category or read a Mischief Skill Book. Skill Books can be purchased directly from a Bookshelf by using the Purchase Books interaction. 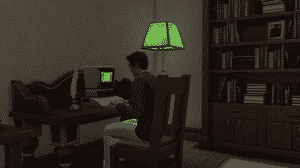 Click on a Computer and select a Mischievous interaction. Sims can send Chain Letters, Hack, and more! Tip: Troll teh Forums is a Mischievous Interaction and is a fast way to accomplish this when your skill level is still new. 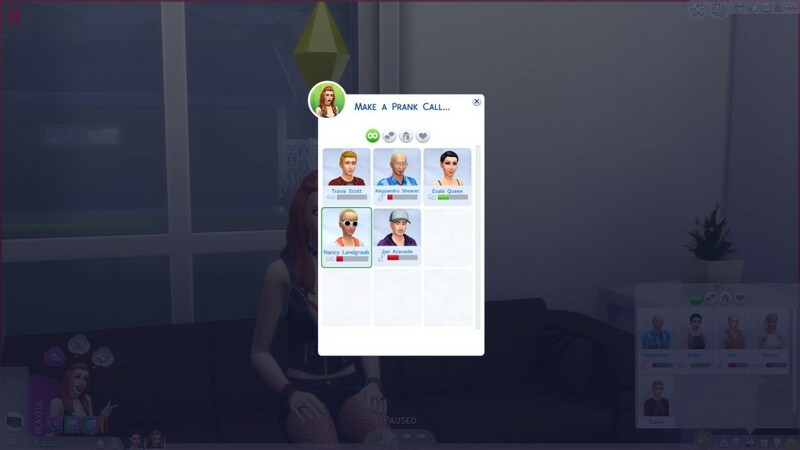 Click on a Sim and select a prank from the Mischief category. 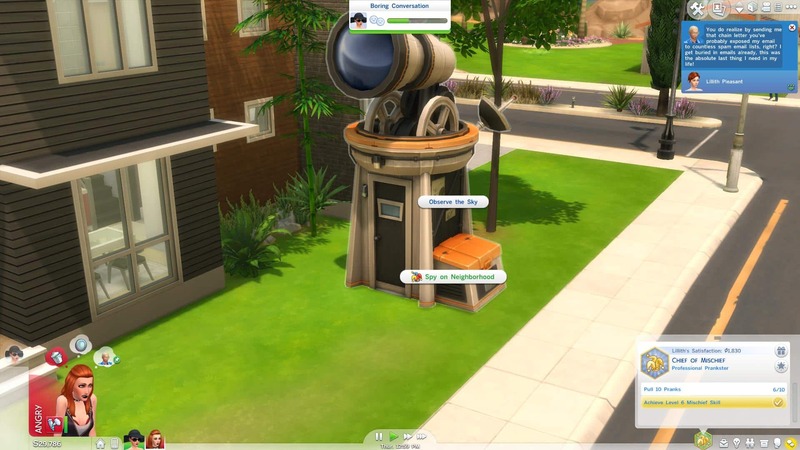 Sims can also use other objects to Prank Sims like the Phone, Computer and Observatory. 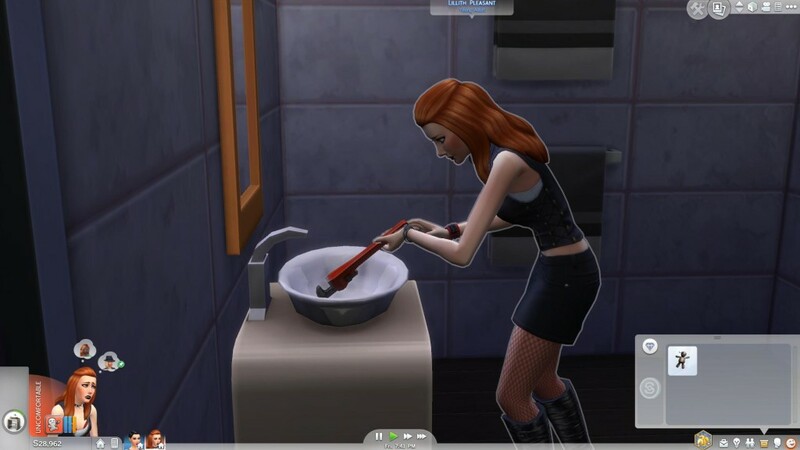 Mischievous Sims can clog Sinks and Drains. 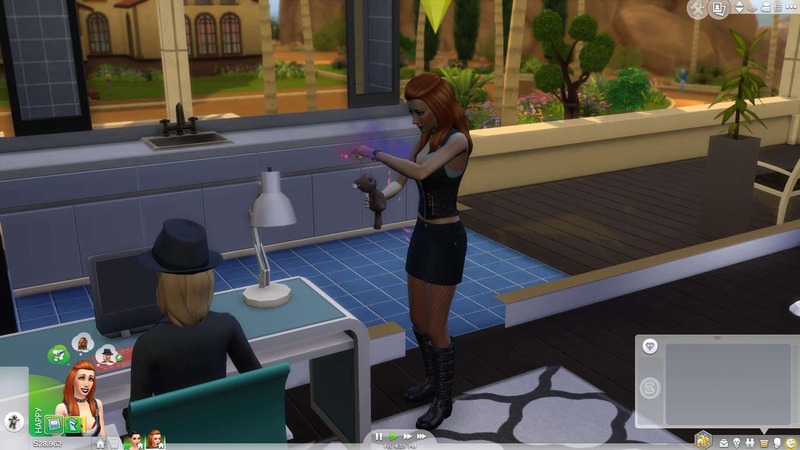 Click on the Voodoo Doll to perform Voodoo on another Sim. 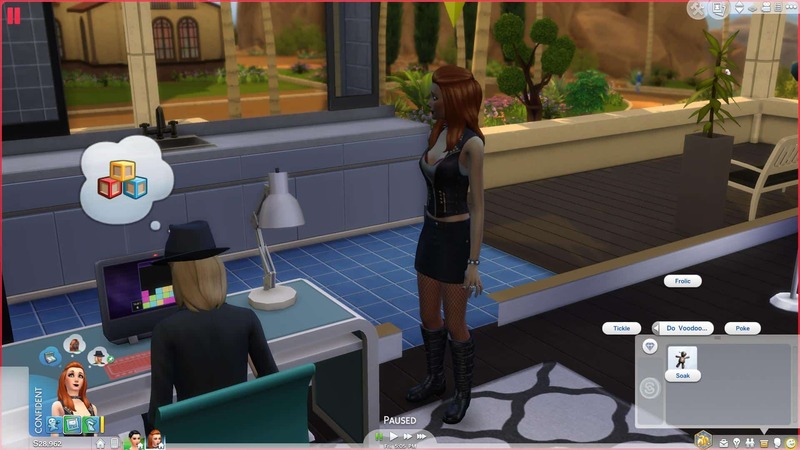 Don’t forget to bind the Voodoo Doll to a Sim first. 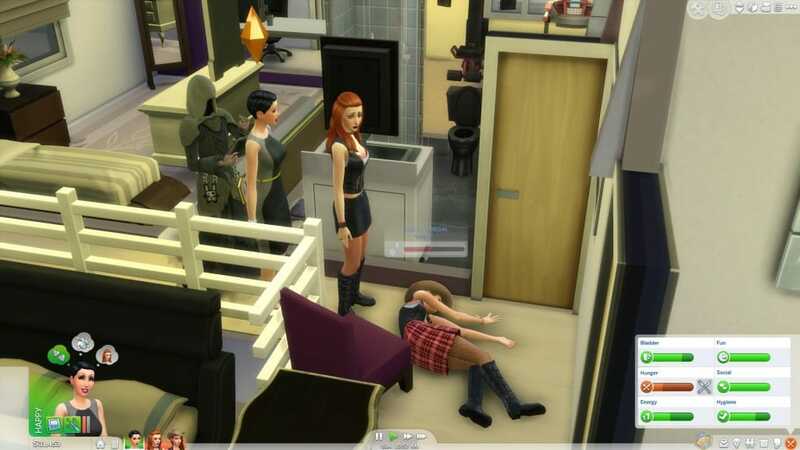 Tip: The Voodoo Doll can be purchased on the Computer for 950 Simoleons, or can be found by digging it up. 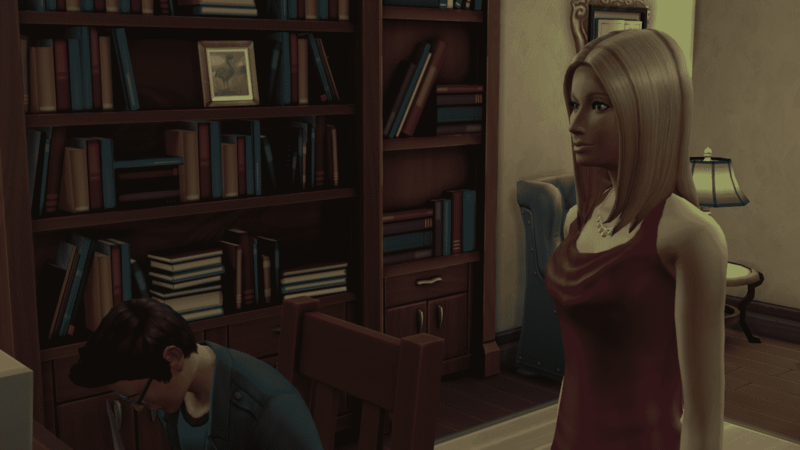 Tormentor: Tormentors can sabotage almost anything, be it an object or another Sim’s best efforts.